Good relationships don’t just happen. I’ve heard many of my clients state that “If I have to work at it, then it’s not the right relationship.” This is not true, any more than it’s true that you don’t have to work at good physical health through exercise, eating well and stress reduction. 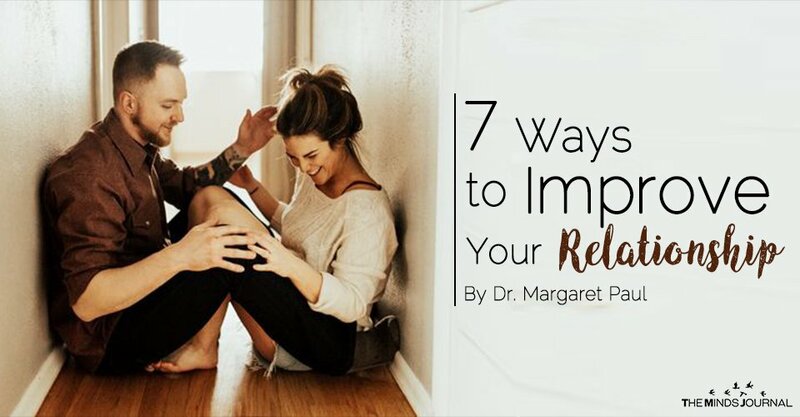 I’ve discovered seven choices you can make that will not only improve your relationship but can turn a failing relationship into a successful one. This is the most important choice you can make. This means that instead of trying to get your partner to make you feel happy and secure, you learn how to do this for yourself. This means learning to treat yourself with kindness, caring, compassion, and acceptance instead of self-judgment. Self-judgment will always make you feel unhappy and insecure, no matter how wonderfully your partner is treating you. For example, instead of getting angry at your partner for your feelings of abandonment when he or she is late, preoccupied and not listening to you, not turned on sexually, and so on, through the practice of Inner Bonding you would explore your feelings of abandonment and discover how you might be rejecting and abandoning yourself. When you learn how to take full responsibility for yourself, then you stop blaming your partner for your upsets. Since blaming one’s partner for one’s own unhappiness is the number one cause of relationship problems, learning how to take loving care of yourself is vital to a good relationship. The Inner Bonding process is a pathway toward this self-care. Treat others the way you want to be treated. This is the essence of a truly spiritual life. We all yearn to be treated lovingly – with kindness, compassion, understanding, respect, and acceptance. We need to treat ourselves this way, and we need to treat our partner and others in this way, which is one of the results of practicing Inner Bonding. Relationships flourish when both people treat each other with kindness. While there are no guarantees, often treating another with kindness brings kindness in return. If your partner is consistently angry, judgmental, uncaring and unkind, then you need to focus on what would be loving to yourself rather than reverting to anger, blame, judgment, withdrawal, resistance or compliance. Kindness to others does not mean sacrificing yourself. Always remember that taking responsibility for yourself rather than blaming others is the most important thing you can do. If you are consistently kind to yourself and to your partner, and your partner is consistently angry, blaming, withdrawn and unavailable, then you either have to accept a distant relationship, or you need to leave the relationship. You cannot make your partner change – you can only change yourself. When conflict occurs, you always have two choices regarding your intent: you can open to learning about yourself and your partner and discover the deeper issues of the conflict, or lovingly disengage if one or both of you are not open; or you can try to win, or at least not lose, through some form of controlling behavior. We’ve all learned many overt and subtle ways of trying to control others into behaving the way we want: anger, blame, judgment, niceness, compliance, caretaking, resistance, withdrawal of love, explaining, teaching, defending, lying, denying and so on. All the ways we try to control create even more conflict. Remembering to learn instead of control is a vital part of improving your relationship.